Maison Aurelia - Sanur is the first upscale boutique hotel by Préférence label which offers an elegant hideaway from city bustles and daily hassles in the alluring stretch of Sanur – Bali. 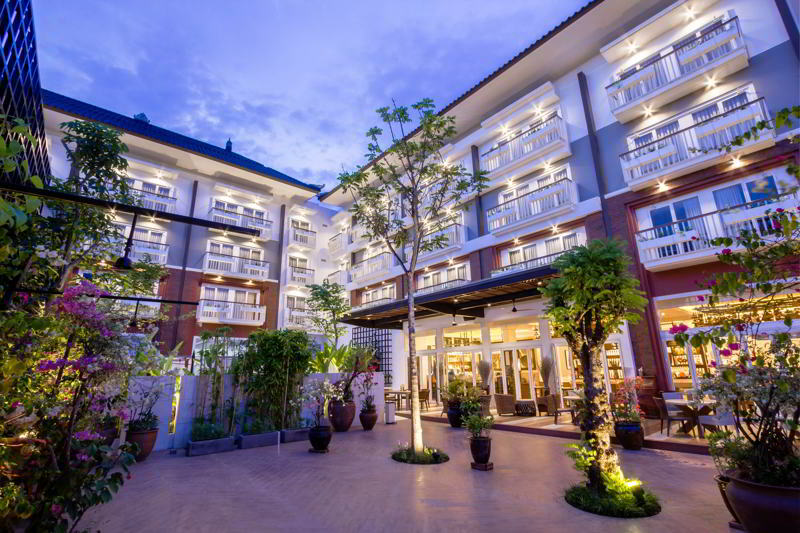 Sanur– TAUZIA Hotel Management along with The Paradise Group jointly announced the opening of Maison Aurelia – Sanur by Préférence Hotels located at the idyllic coast side of Jl. Danau Tamblingan, Sanur – South Denpasar, Bali. The opening marks the first property under Préférence label uniquely comprising of upscale, charm & heritage boutique hotels. 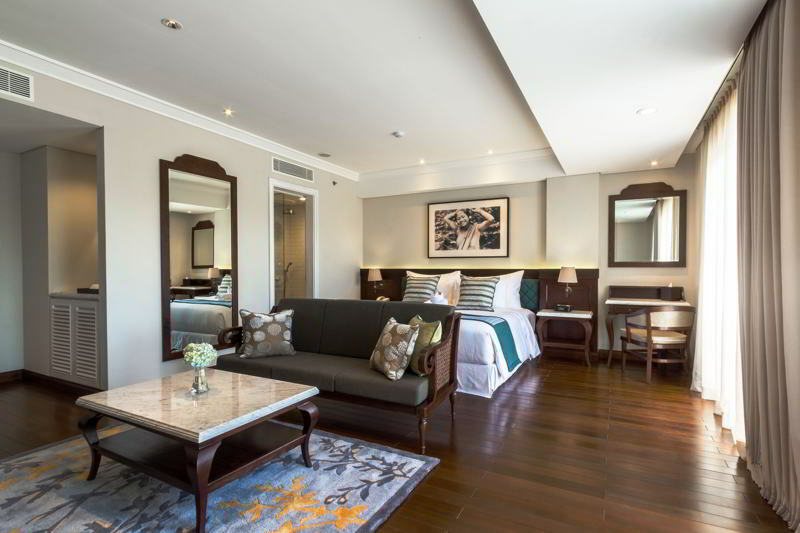 Maison Aurelia – Sanur offers homey & soothing feeling in the calming comfort of its classic colonial style blended with high-end modern amenities. Guests will surely experience a place of discreet luxury & serenity. “The word choice of ‘Aurelia’ derives from Latin which means ‘golden’ – the color which symbolizes strength, luxury & perfection – while ‘Maison’ means ‘home’ in French – as we believe our warm & attentive personnel will make our guests truly feel homely,” said Marc Steinmeyer, President Director – TAUZIA Hotel Management. Maison Aurelia – Sanur, by Préférence Hotels features 41 alluring guestrooms divided into two categories: Camelia Rooms of 36sqm & Magnolia Rooms of 54sqm complete with LED TV with cable channels, complimentary Wi-Fi connection, Bluetooth speaker clock, bottled mineral water, coffee/tea maker, mini bar, convenient wardrobe, safe deposit box, plush toiletries by Durance, complimentary daily newspapers & compact working space. “In addition to the beautifully crafted guestrooms, Maison Aurelia – Sanur offers outdoor Jacuzzi, swimming pool, beach club access & overall the feeling to be home away from home,” added Sophie Marivin, General Manager - Maison Aurelia. To add more delight to its guest Maison Aurelia – Sanur offers a captivating dining experience at Spice by Chris Salans . Like the original Spice in Ubud, Spice at Maison Aurelia is owned by the celebrity chef Chris Salans – the founder and chef of the world famous Mozaic Restaurant Gastronomique in Ubud. It is the second edition of his gastrobar concept which has been highly acclaimed since its opening last year. At SPICE, all ingredients are locally sourced, with an emphasis on the surprising flavors and healing properties of Indonesia’s aromatic roots, herbs, and spices. The interiors of Spice at Maison Aurelia – Sanur are a visual sensation celebrating the Indonesian archipelago and interpreted with contemporary artisan styling. To pamper the guests with luxurious and indulgent treatment, Mandara Spa , international spa with more than 50 locations around the world will ensure each treatment will make guests emerge glowing and refreshed. Be the first to experience the alluring Maison Aurelia – Sanur, by Préférence Hotels starting from IDR 1,118,000nett/room night. Discover more about Maison Aurelia – Sanur simply at www.preferencehotels.com/maison-aurelia & @maisonaurelia on social media. Maison Aurelia is owned by The Paradise Group which develops and operates iconic retail and hospitality lifestyle destinations in Indonesia’s greatest cities. The Paradise Group product portfolio is largely comprised of retails, hotels, and also including trade centers, apartments, condominiums, and offices. Retail portfolio consists of high-end luxury and modern lifestyle concept malls in Jakarta, Bandung and Bali. Hotel portfolio consists of over 2,100 room keys from 5-star luxurious hotels to 2-star business hotels in Batam, Jakarta, Yogyakarta and Bali.